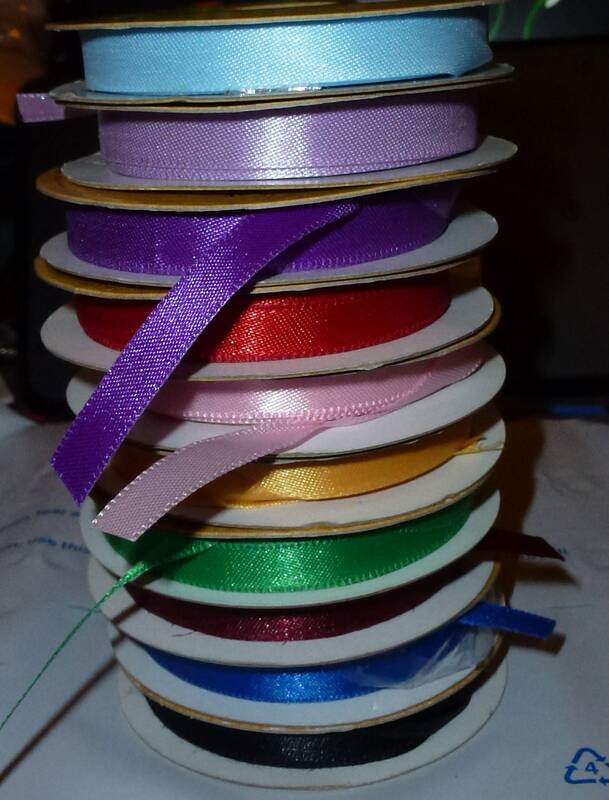 9 partially used rolls of ribbon assorted colors. Satin texture, not quite 3/8". Each roll started with 10 yds. I estimate there is 5-8 yards left per roll.